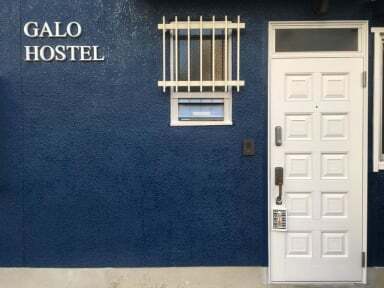 Galo Hostel Kobe is located 5-minute walk from Shin-Kobe Station. 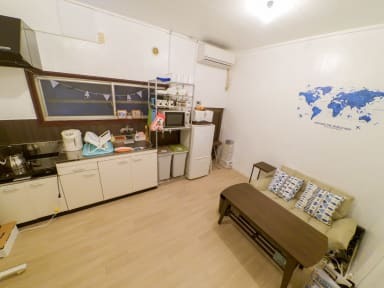 The location is very convenient for travel or business, good for access to Sannomiya or Kitano. The Japanese cozy retro interior decor will make your stay more relaxing. All rooms have air conditioning, heating and slippers. Bathroom and toilet facilities are shared. Anyone who stays Galo Hostel can use kitchen and small lounge. There are several convenience stores, restaurants and cafes within a 5-minute walk from the property. Bus stop to Sannomiya, Motomachi, Maya Cable is just a 1-minute walk from our hostel. Takenaka Carpentry Tools Museum is just a 2-minute walk from the property. Nunobiki Herb Garden Ropeway, Bottom Station is an 8-minute walk, while Nunobiki Falls is a 15-minute walk. Sannomiya Station is a 12-minute bus ride or 20-minute walk from Galo Hostel Kobe. Kitanocho area is a 15-minute walk away. Maya Cable Station is a 18-minute bus ride from the guesthouse.